Labyrinth Walk and Candlelight Evensong. The St. Bede’s Labyrinth is patterned after the 13th-century original at Chartres Cathedral. 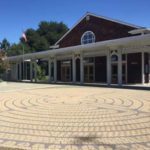 A gently guided meditative walk to the center and back will be accompanied by sweet, soulful, and stirring instrumental music and a cappella voices, including chant by Hildegard von Bingen. Walkers will have the opportunity to let go of the distractions of daily life, rest in a place of meditation, and return via the same path. The walk will be followed by a candlelit service of Evensong, featuring the music of Orlando Gibbons and Sir Hubert Parry, performed by St. Bede’s Choir, Katherine McKee, Music Director. Donations will be accepted to benefit Los Ayudantes, which provides literacy tutoring to students in San Mateo County. A reception will follow the service. Cantata Collective’s new season opens with the Sinfonia, Recitative, and Aria from BWV 12 Weinen, Klagen, Sorgen, Sagen; and BWV 169 Gott soll allein mein Herze haben. Performers are Reginald Mobley, countertenor; Marc Schachman and Michael Dupree, oboes; Kati Kyme and Lisa Weiss, violins; Anthony Martin and Linda Quan, violas; William Skeen, cello; Kristin Zoernig, bass; and Edward Murray, organ. 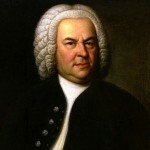 Cantata Collective aims to present the Bach cantatas free to the public, as the equivalent of a World Heritage Site, a collection of masterworks belonging to all people. Bach’s greatest body of work will be heard as vocal chamber music featuring local and internationally recognized artists. Further performances will take place in November, February, March, and April. Although admission to the concerts is free, membership in the Collective will be offered so that listeners and performers may join together to make this music available to all.